As the cannabis industry continues to grow, networking opportunities become more crucial for business owners and employees wishing to expand their knowledge and grow their contacts. But after a while, the usual pattern of conference centers, banquet halls, and happy hours in the back rooms of bars can seem a little repetitive. Matt Enos agrees, which is why his upcoming Fore Twenty “Harvest” Tournament on November 9th is intended to get cannabusiness professionals out of the meeting rooms and onto the golf course. Golf and business aren’t a new combination — professionals from various sectors commonly meet on the links to talk shop while going for the birdie. With cannabis, however, the common stereotype that comes to mind is that of a lazy stoner who can barely be bothered to slide off his couch, let alone play 18 rounds of golf. Enos wanted to buck that trend and put together an event that brought together cannabis business professionals to network in an unconventional yet fun setting. Enos’ previous Four Twenty golf tournament took place last summer in Portland, Oregon, attracting nearly 200 participants. This time, the tournament takes place in southern Oregon at the Cougar Canyon Golf Course, and while he expects a smaller pool of participants due to harvest season, he’s nonetheless excited for this fall event. Prizes will be also awarded to the best dressed golfers, those who make it both the closest and the furthest from the pin, and the golfers who have the lowest and highest scores — another indication that this event is more about having fun and meeting new people than trying to earn your green jacket. If you’re interested in celebrating Oregon’s recreational cannabis and networking with some of the brightest, most hard-working cannabusiness professionals from across the country, tickets are still available for the Fore Twenty “Harvest” Tournament taking place November 9th in Myrtle Creek. The cost is $250 for a team of four to sign up, and there will be plenty of fun prizes and complimentary products to go around. 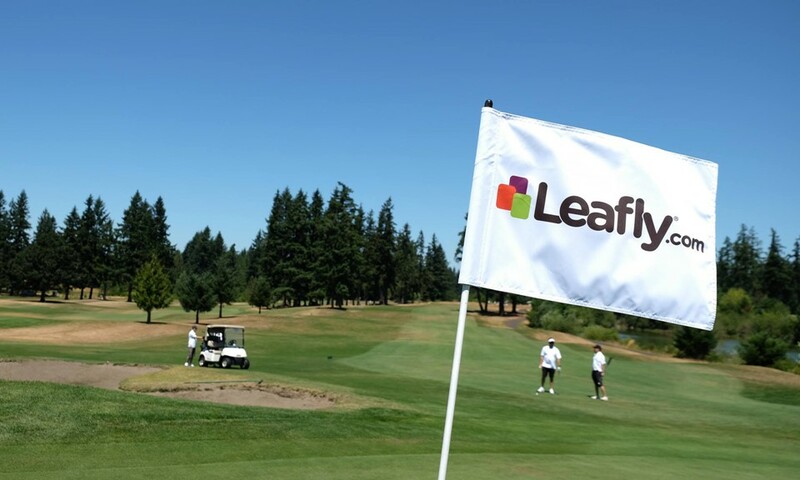 You might even spot Leafly there — we’re the flag sponsor so keep an eye out for our flags at every hole. Even if you bogey, you’ll have some great bud with good company.